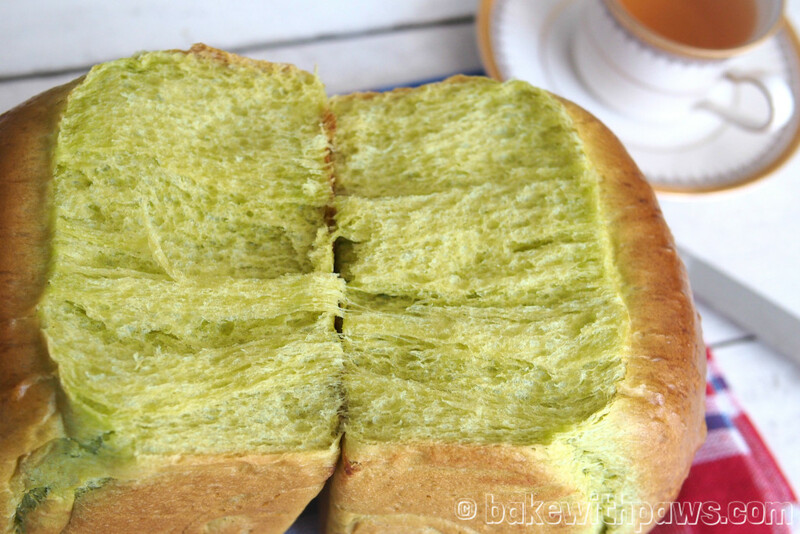 Pandan Killer Toast (One-time Proofing Bread)! Thank you to Victoria Bakes and a few Facebook friends for sharing this recipe. I don’t know why it’s called the killer toast though. Maybe because it is fast to prepare and the texture very soft? 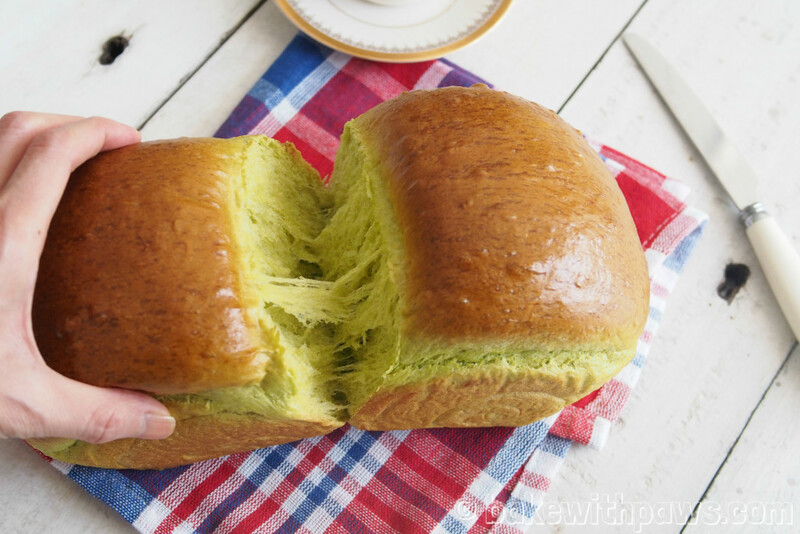 I added Pandan juice to make it Pandan Killer Toast. Egg wash: 1 ½ tablespoon of egg and milk mixer from the above. Put all ingredients (except butter) in a bowl of stand mixer and knead till the dough come together. Add in butter and knead until achieve window pane stage (you need to achieve this stage to get the soft texture). Divide the dough into 2 equal portions. Roll out each dough with a rolling pin into rectangle shape. Roll up the dough until a log is formed and place into greased loaf pan. Set it aside to rise for 50 to 60 minutes or till double in size. Bake in preheated oven at 170 C, second lowest rack for 35 to 40 minutes or till the bread turn golden brown. Remove bread to cool on rack completely. If you do not have thick pandan juice ready, just blend 8 pandan leaves with full cream milk. which pandan juice recipe do you use? Hi, You need to blend the pandan leaves with water and extract the juice. Please refer to my reply above for the link to pandan juice recipe. Hi, thank you for dropping by. Actually, this bread only soft on the 1st day. It got a bit dried on the following days. I would highly recommended the water roux (tangzhong) or yudane method.